Everyone has to pay taxes. But some people pay less than others. Much less. The Federal tax code contains over 5.6 million words—18 times as many words as the Hebrew bible. Hidden among them are hundreds of loopholes and deductions that could reduce your taxes. Many of these are designed to benefit mainstream churches and believers in this country. But we are just as entitled to these benefits as they are! 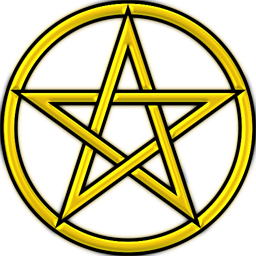 Tax Magick was founded to assist Pagans, Thelemites, Magicians, Occultists, and everyone who practices alternative spirituality to take advantage of provisions in the tax code for religion-related deductions and pay as little tax to the government as possible. As a 20-year practicing magician, I have explored and exploited these loopholes myself for many years. Most accountants, tax software, and tax preparation services don’t care who we are or understand what we do which qualifies us for these benefits. I can ensure that you receive the maximum tax deductions allowed by law and help reduce your chances of being audited. Find out more or contact me to get started on lowering your tax bill today.